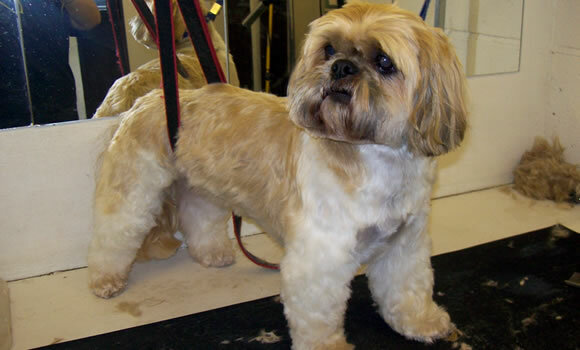 To book an appointment for dog grooming please call Julie Earith on 0777 912 5791 / 0161 439 8010. Alternatively you can complete the online booking form below and we will call you back to confirm availability. We are able to offer morning, afternoon, evening and weekend appointments to suit your schedule. Collection and delivery in the local area is also available for a small charge. Thanks, and we look forward to speaking to you soon.